The Orbit 10 pattern turret watering wand has a spray pattern for any and all of your watering needs. 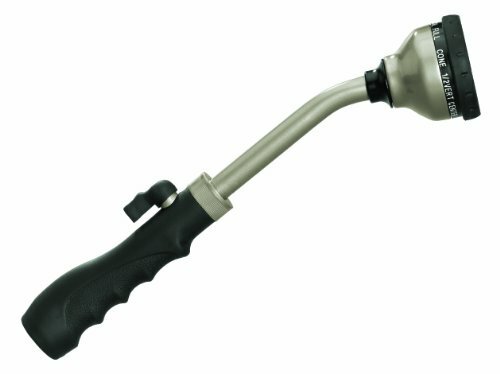 This watering wand has a length of twelve inches so it is great for watering hanging plants and other areas that are hard to reach. It also has a shut off lever that allows simple flow control: 10 spray patterns for every watering need, Shut-off lever for flow control, Durable metal construction.